Ever wondered what Branson looks like from high in the sky? Find out by riding Parakeet Pete’s Steampunk Balloon! 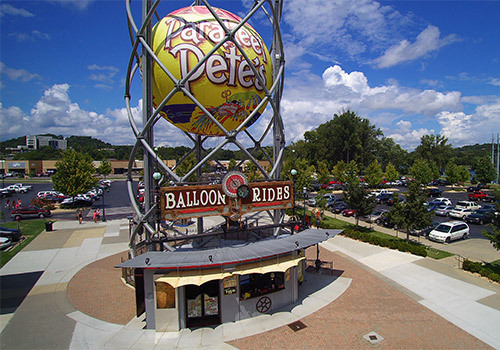 As the only balloon of it’s kind, the Steampunk Balloon floats guests to approximately 188 feet in the air for jaw-dropping panoramic views of Branson, the Ozark Mountains, and Lake Taneycomo. 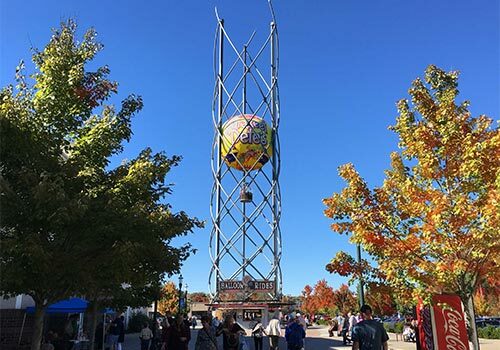 This high-flying attraction is perfect for all ages and group sizes. 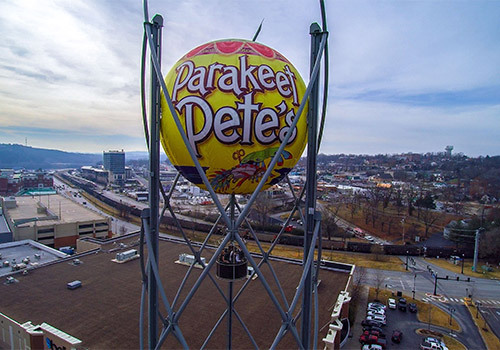 Parakeet Pete’s Steampunk Balloon is the only balloon of its kind in North America and the tallest in the world! 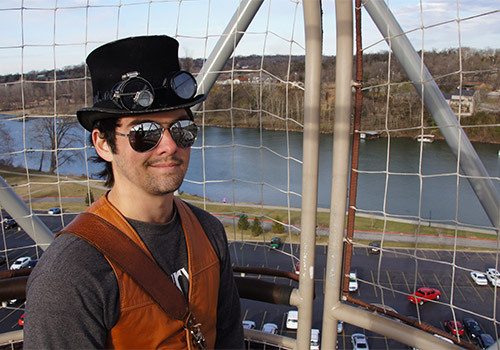 Located at Branson Landing on the north entrance near Belk Department Store, our Steampunk pilots will take you on a trip back in time as you travel nearly 200 feet in the air. 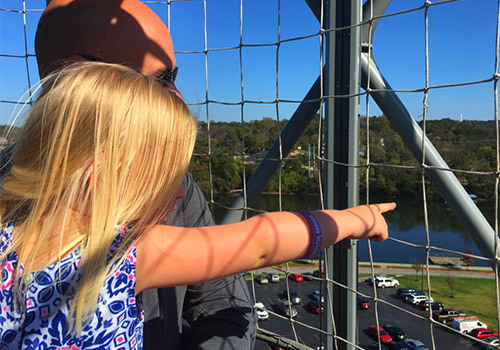 With 360-degree aerial views of Lake Taneycomo, historic downtown Branson, and the surrounding Ozark Mountains, you'll learn fun facts about our area from one of our knowledgeable and friendly Steampunk Pilots. Our Steampunk Balloon is the only one of it's kind in the world and we are so thrilled to have it with us as a Branson icon! Fun for the entire family, the balloon can hold up to eleven passengers. We are disability friendly and pet-friendly too! Guests under 42" ride free with a paid adult. Parakeet Pete’s Steampunk Balloon flies 7 days a week from 10:00 am to 9:00 pm from March 1st to December 31st. Do I need to purchase a ticket for my young child? Guests under 42" ride free with a paid adult. What are the physical limitations for this ride? The attraction is ideal for all passengers. It is disability-friendly and pet-friendly! How many people can the balloon hold? 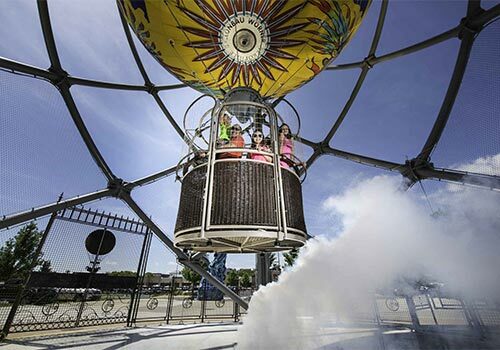 The Steampunk Balloon can hold between 1 and 12 passengers at a time.